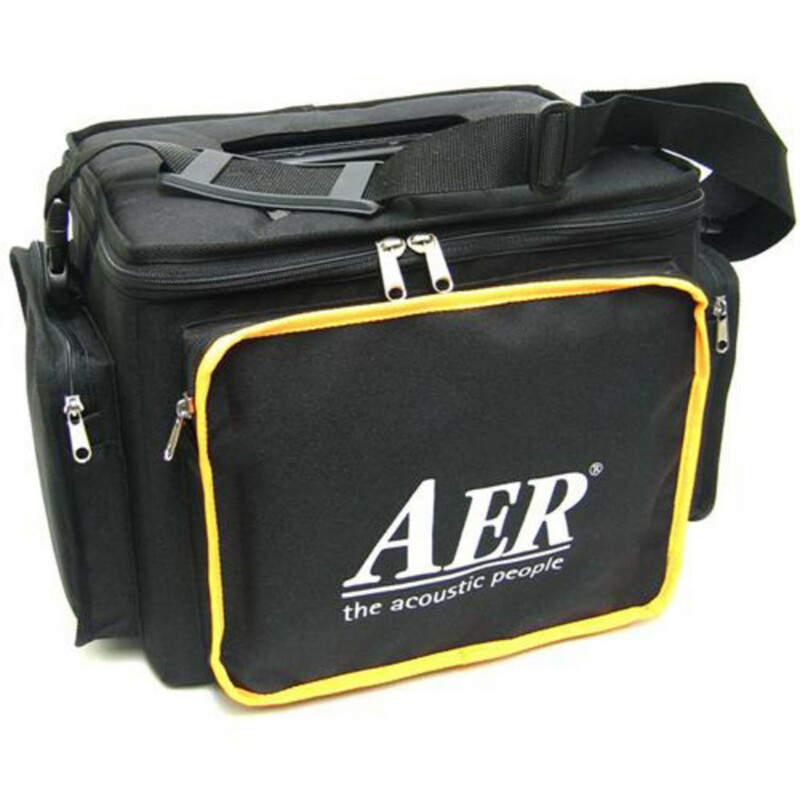 A new member within the AER Compact family. A new discrete power amp design for additional dynamic headroom. A new speaker configuration for additional tonal range and the continuation of the well–proven features and functionality of the Compact 60. A beautiful sounding powerhouse for those who need more volume, a more defined tone yet love the straightforwardness of the Compact 60. 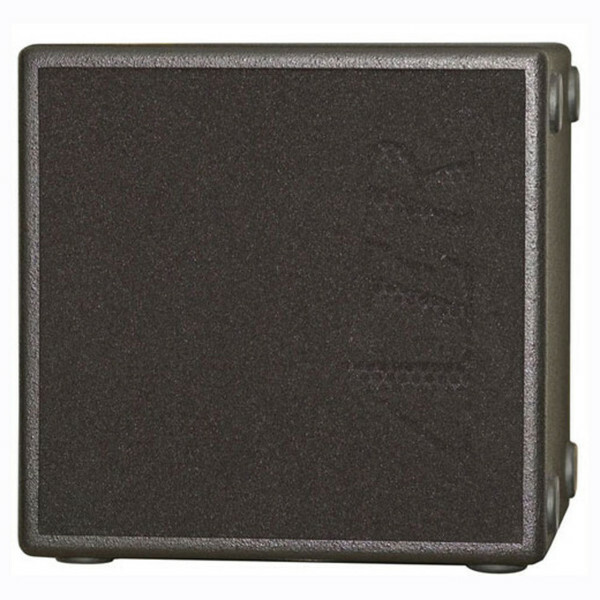 The AER Compact XL: the top of the range Compact. The Compact XL carries on the Compact tradition as a highly portable 2 channel acoustic amp. Yet the XL sports a muscular power section pushing a nominal 120 watts through a state-of-the-art 2-way speaker system with a 8" (200 mm) cast frame low-midrange and a separate 1" (25 mm) dome tweeter. 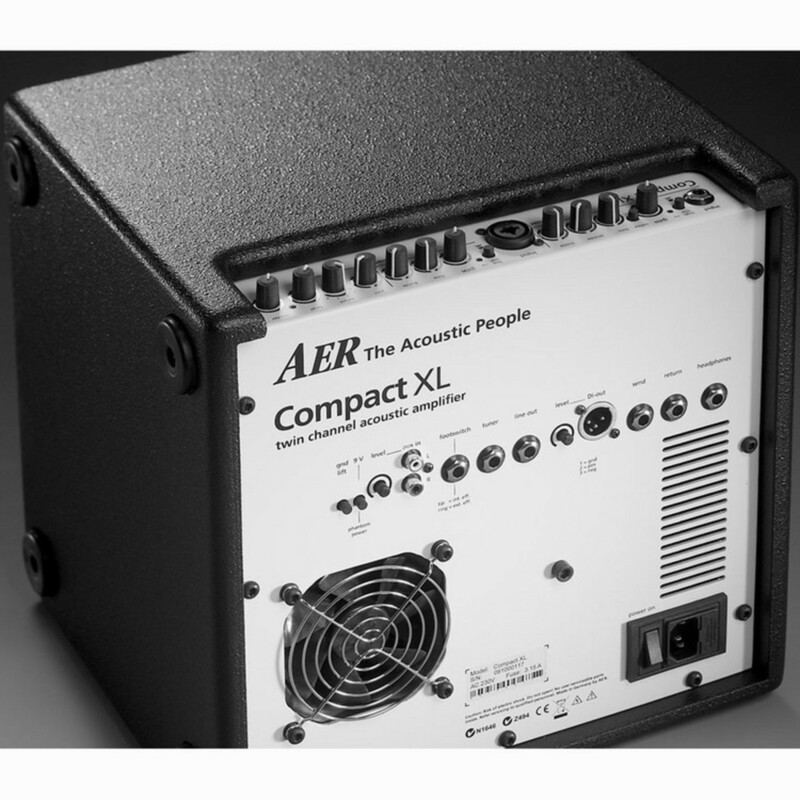 When you seek the utmost acoustic accuracy, plenty of headroom, and phantom power capabilities, the AER Compact XL is a serious musical partner. Channel 2 - combined XLR & 1/4"
To read the full specifications for the AER Compact XL Amp please download the PDF below.